I love, love, love flowers and as much I love receiving floral arrangements, the sticker shock when I have to buy nearly gives me a heart attack. Yes, I know that florists are artists and ultimately you are paying for that, but, oh, the prices, they kill me! 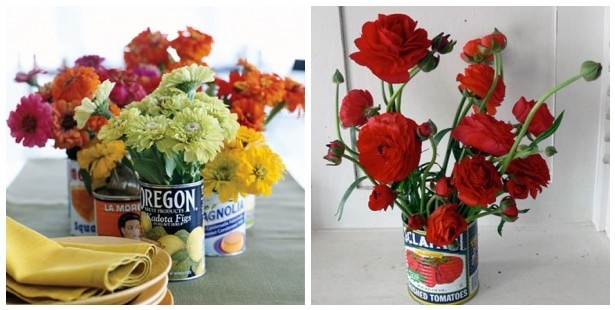 So, in preparation for Mother’s Day, I thought I’d whip out some of my favorite floral arrangements to perhaps inspire you to create your own for the moms in your life. These arrangements are so kitschy and colorful that they are instant crowd-pleasers. Show me a grandma who wouldn’t love this? The first arrangement is by Rachael Ray and the second is from Design*Sponge. 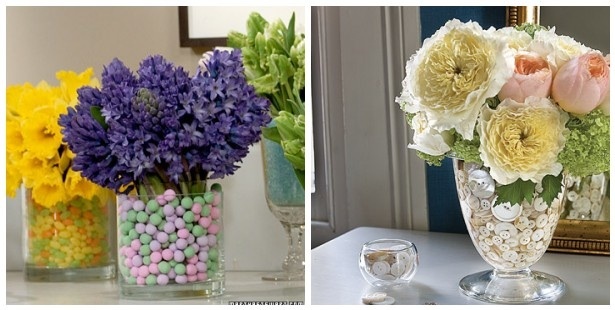 I love these ideas I found at Martha Stewart. It’s really very simple, you take left-over candy, or buttons, or even colorful marbles to create a visually powerful arrangement. These vases are quite large, but you pack a very large punch with a smaller floral package as well. 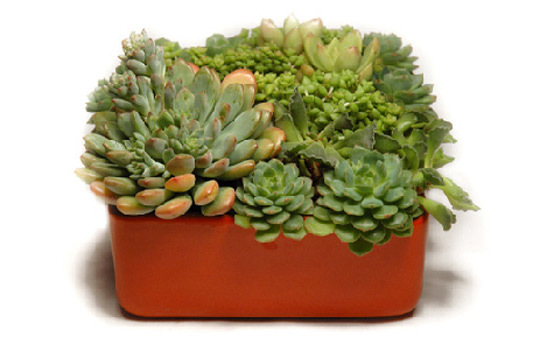 Another idea is to forgo fresh flowers altogether and plant some lovely succulents. Again, a simple and monotone arrangement is low on effort but high on return visually. There are many ideas out there on the web, but we liked this one at Apartment Therapy.